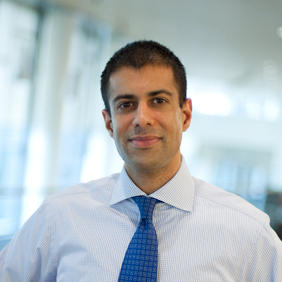 Vipin Narang is an Associate Professor of Political Science at MIT and a member of MIT’s Security Studies Program. He received his Ph.D. from the Department of Government, Harvard University in May 2010, where he was awarded the Edward M. Chase Prize for the best dissertation in international relations. He holds a B.S. and M.S. in chemical engineering with distinction from Stanford University and an M. Phil with Distinction in international relations from Balliol College, Oxford University, where he studied on a Marshall Scholarship. He has been a fellow at Harvard University’s Olin Institute for Strategic Studies, a predoctoral fellow at Harvard University’s Belfer Center for Science and International Affairs, and a Stanton junior faculty fellow at Stanford University’s Center for International Security and Cooperation. His research interests include nuclear proliferation and strategy, South Asian security, and general security studies. His first book Nuclear Strategy in the Modern Era on the deterrence strategies of regional nuclear powers won the 2015 ISA International Security Studies Section Best Book Award. He is currently working on his second book, Strategies of Nuclear Proliferation, which explores how states pursue nuclear weapons. His work has been published in several journals including International Security, Journal of Conflict Resolution, The Washington Quarterly, and International Organization.